So many days off – and still no idea what to do? How about treating yourself to a delicious free breakfast? Or maybe several? 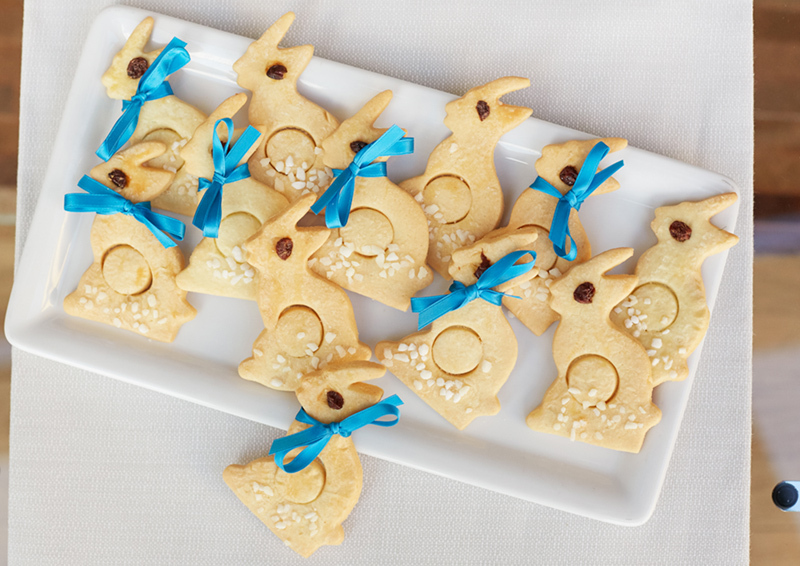 Book your Easter holiday now at participating Living Hotels and you’ll be spoilt for choice every morning with the fantastic selection at our free breakfast buffets. This promotion is valid for stays between the 12th and 28th of April 2019. Please select the promotion rate when booking. 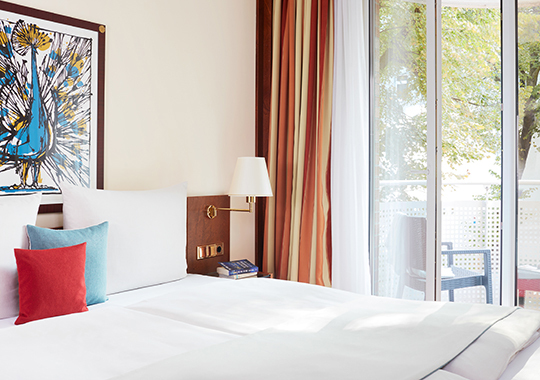 We are your Living Hotel in Bonn. 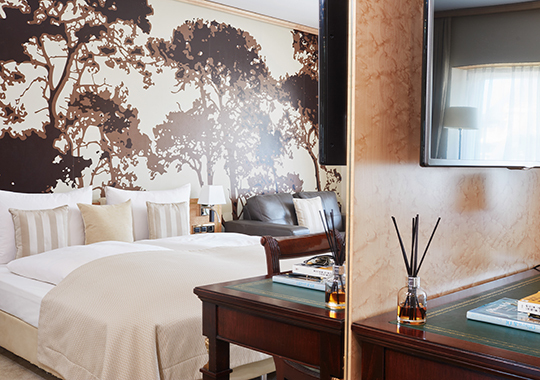 Choose between exploring the city and soaking up the peace and quiet of the hotel’s surroundings. Live and work in your room or serviced apartment and use your kitchen or kitchenette to cook for yourself. Or go to the cinema – we have one of our own. You can look forward to film evenings, playing video games on the big screen or hosting your own events. Always on the lookout for something special? Do art, culture and exclusive things make your heart beat faster? If so, you should definitely pay us a visit. Our Living Hotel De Medici is a museum, hotel and landmark all in one. Sleep in luxurious rooms and Serviced Apartments, enjoy our private art collection, and walk through spaces and corridors that tell a story. Welcome to your ‘little Louvre’, right in the center of Dusseldorf. Welcome to the heart of Dusseldorf. 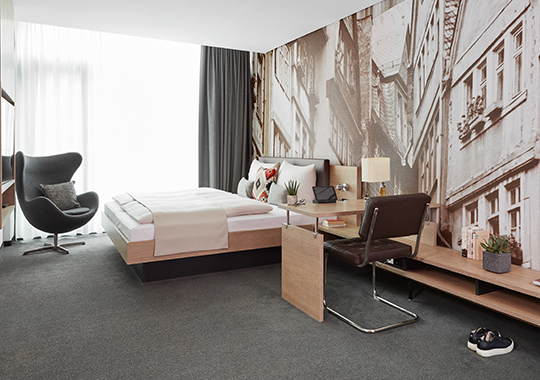 If you’re looking for a base for your city and business trips to Dusseldorf, we’re the perfect Living Hotel for you. 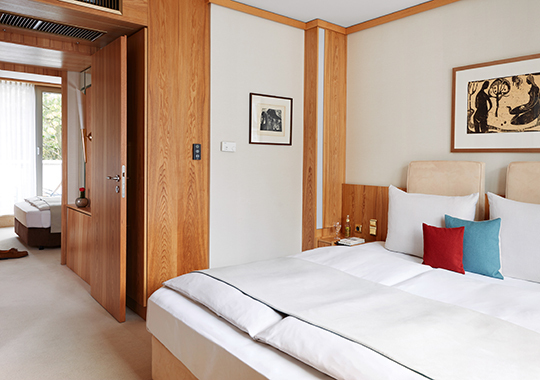 Explore the city and stay in a comfortable room or serviced apartment. Visit Agata’s, our in-house restaurant. Awarded a Michelin star, it is a true temple for the senses and the perfect choice for special evenings. Want to experience a new level of hospitality? Then come visit our newest Living Hotel. We have replaced the traditional lobby with a Living Room where you can work or put your feet up, and where you can enjoy jazz evenings, DJ nights and open stage events. 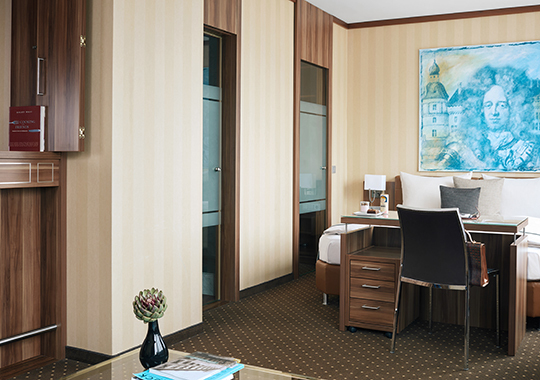 You can look forward to friendly hospitality and a place to get acquainted with Frankfurt and the world. Welcome! 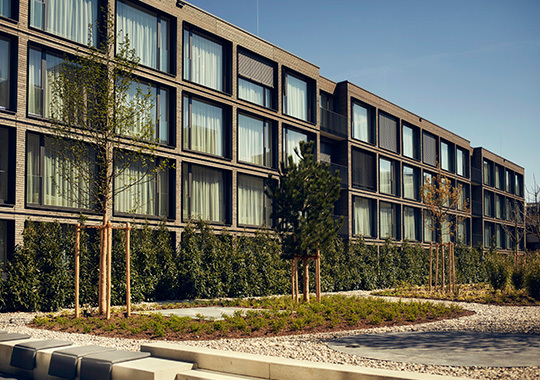 The Living Hotel Weissensee is your tranquil oasis in Berlin. Live away from the hustle and bustle of the capital and hold your meetings outdoors. Enjoy our comfortable rooms and Serviced Apartments, located right by Weissensee lake with its beach bar and sandy beach as well as plenty of fresh air in the city park. And if you do feel like heading into town, it only takes 15 minutes to reach Alexanderplatz. The Isar is on your doorstep, while the Glockenbachviertel is right around the corner. 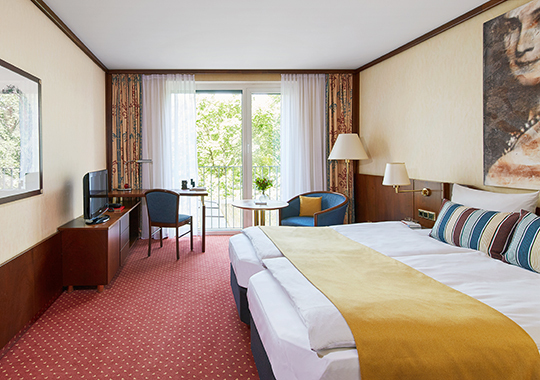 We are your Living Hotel in the best location in Munich. Head outside and discover the city. Or simply stay inside. Live and work in comfortable rooms and Serviced Apartments, dine at Shane’s, our in-house restaurant, and relax on our summer terrace. We are where the peace and quiet is. Go for a jog in Olympiapark and enjoy the tranquility on a very own balcony or terrace, whether you’re in a room or in a serviced apartment. Get ready for relaxed comfort and impeccable service. And should you feel like going on an adventure, you can attend events and concerts in the park or take advantage of the good transport connections to quickly reach the heart of Munich. Located directly on Viktualienmarkt, our Living Hotel is the perfect place to stay when you’re in Bavaria’s capital. 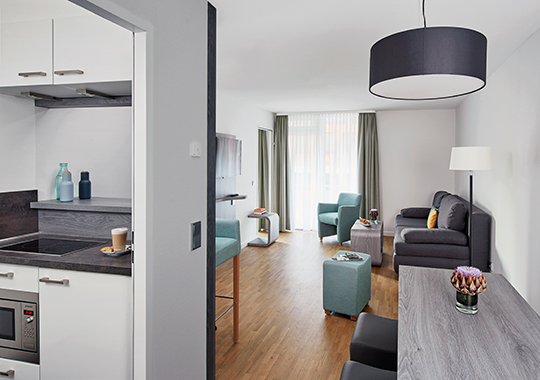 Enjoy the comfort of our rooms and apartments, before strolling around the nearby Glockenbachviertel, paying a visit to the historic center and seeing the city’s most famous sights. Eat at Tian, our outstanding restaurant, and treat yourself to a drink at our bar. Take it easy. The new SOULMADE has 139 rooms , all equipped with kitchenette, a working and living space, and above all, a lot of ... wood! Because both, outside and inside, there are modern designs in wood construction which you cann smell and feel. Each apartment looks a bit like your own home - just somewhere else. Experience Franconian hospitality in our beer garden and discover the city with our Living Hotel as your base. Sleep and work in modern rooms and Serviced Apartments, hold meetings, eat in Maximilians, our in-house restaurant, and pay a visit to Nuremberg’s historic city center. Experience Nuremberg at its most beautiful. Right here. Our Living Hotel is situated away from the hustle and bustle of Vienna. You will be surrounded by peace and serenity in Vienna’s 19th District, home to countless beautiful villas. Inside our building you will find spacious, comfortable rooms and apartments as well as tailor-made service. Outside, the vineyards offer breathtaking panoramic views of Vienna.